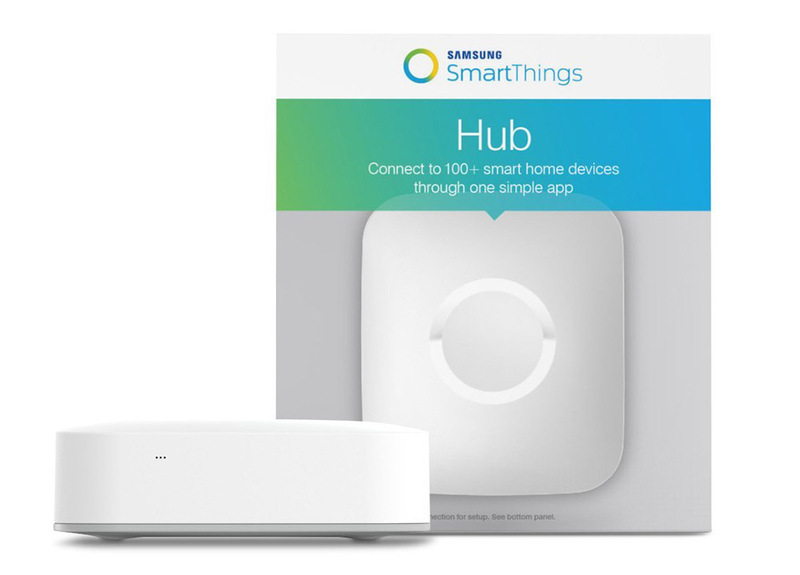 Samsung’s SmartThings line of products has been a leader in smart home controls for years now. It works with just about every new platform that is created, including Google Home and Amazon Echo and Philips Hue and Ecobee thermostats and smart locks and smart wall outlets and cameras, to name a few categories. It’s probably the most widely adopted because it was introduced early enough that others have given it a chance to become a leader. But in order to control all of that stuff and begin your smart home setup, you need a hub to talk to everything. Today, Amazon is hosting a 50% off sale on the SmartThings Hub (2nd gen), which is the starting piece to this whole game. At just $49.99 ($50 off), you won’t find a better deal on SmartThings Hub. As I mentioned, SmartThings connects to smart door locks, lighting, home security systems, garage door openings, thermostats, light switches, dimmers, outlets, sensors, speakers, appliances, smoke detectors, doorbells, and select valves. All of those things can be controlled via app on Android and iOS. And also as I just mentioned, SmartThings is one of the few platforms to work with Google Home out of the box. Should you be interested in Google Home, SmartThings wouldn’t be a bad place to build your smart home around. I should point out that this 2nd Gen Hub has been out for some time and the Amazon ratings are pretty average. I don’t know that there has been much talk of an updated 3rd gen version in the works, but I also wouldn’t be shocked if we got one soon. Still, the new version won’t be this cheap.